If you love the film adaptation of (500) Days of Summer by Scott Neustadter and feel like you need to see more dysfunctional relationships, then A Collection of Failed Love Stories will deliver by bringing you not one, but several stories that are awkward and anxious, yet charming in calibre. Press photo for A Collection of Failed Love Stories. Concordia film production student, Terry Chiu, writer and director of the film, forges a connection with the audience by showcasing real human behaviour in different everyday situations with his short film. Peppered with humour, the tales touch on various aspects of love and explores the failures of it, revealing truths that anyone with a heart can identify with. Shot in Montreal, the film takes advantage of the city’s gorgeous spaces and picturesque skylines. With the familiarity of the settings, and perhaps some of the faces on the street, the viewer can immediately see themselves and their own stories in the film. In one of the narratives, we witness a moment of love at first sight, an occurrence that can afflict anyone at anytime. The audience is presented with a portrait of a character who lacks courage to talk to the object of his sudden infatuation, tortured as he misses the opportunity, and left with nothing but the angst of ‘what if’ plastered in his mind. In yet another story, a boy meets a girl. They fall in love, which, appropriate to the film’s title, leads to heartbreak. 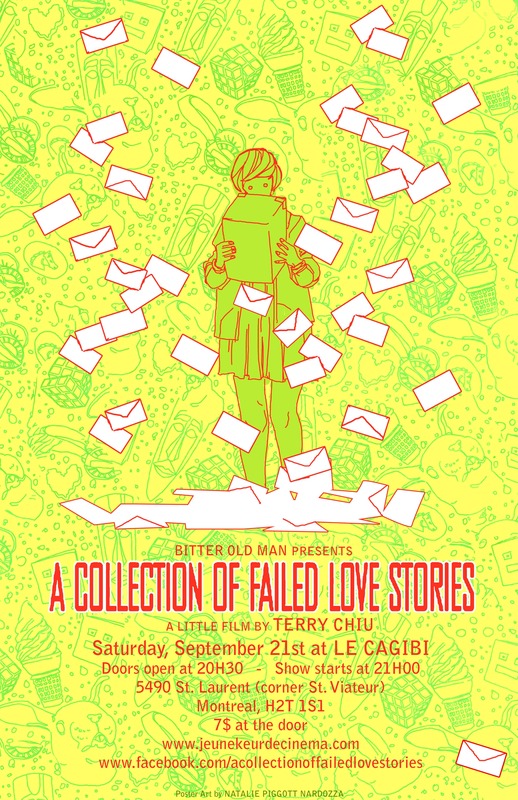 The theme of failure in love is a thread that is weaved through the film, creating a sort of collective perspective from the characters as they love and fall out of love, taking a faraway stand from that of many ‘80s films. As the narrator tells us, “life isn’t like in the movies… life is so empty. Movies are superficial representations of reality. They are portraits of what we wish would happen in real life.” Gone are the days where movies like Say Anything try to convince us that falling in love can easily be achieved by the use of a boombox. With the coupling of the heartbroken crooning and a melancholy soundtrack, the audience observes how the characters are still remembering their failed love stories and how it has affected them. This short film compels an understanding of how arduous love can be, the struggle it is for someone to move on, and how heartbreak is a universal theme from which no one is safe.